Cash Back will not be awarded on purchases made from a Blackberry device. 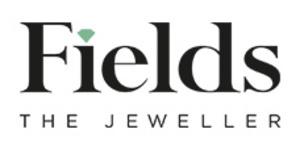 Celebrating over forty years in jewellery retailing, Fields Jewellers is a wholly Irish-owned company who has been a market leader since 1979. With a name synonymous with fine jewellery in beautiful designs, quality watches, giftware and above all, an unquestioning commitment to customer service, Fields have a reputation richly deserved.